Getting placed in the big companies is not an easy task, but a few gestures and habits can help you leave a good impression on the HR team. Giving job interviews for getting selected in an esteemed company is the first phase, but what if you didn’t get any reply from them? One of the best things to do is to send them a thank you letter for conducting the interview in their prestigious organization. 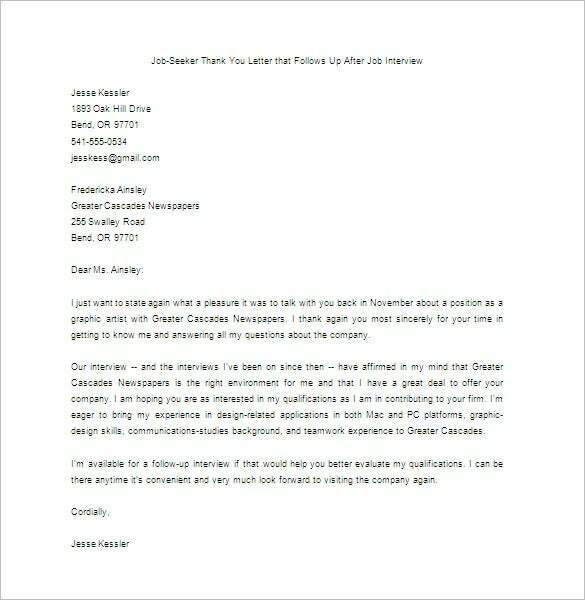 The Thank You Letter for Interview template offers you the set format to help you send those highly appreciable and helpful letters with great comfort. The template enables you to formally thank them for arranging interviews with the hiring manager. You can Also See Thank You Letter for Donation. 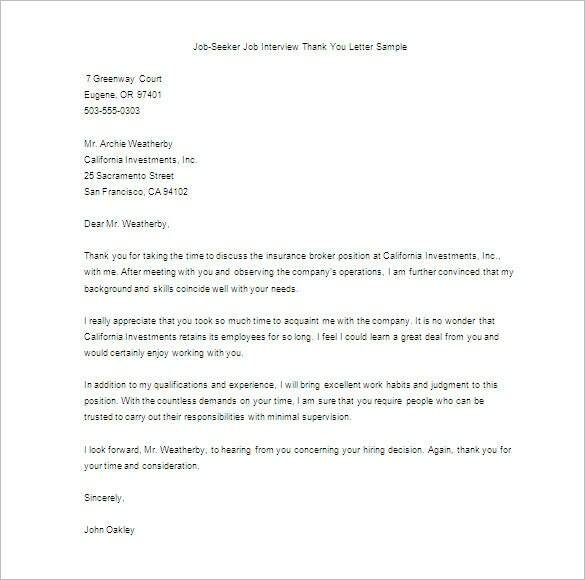 Download this templatefor free and use it to write a thank you not to a potential boss before an interview session. Although it is not a must you say thank you, sending a thank you note will show that you appreciate the people who made this moment a success. It is a must that you say thank you for an interview. This template can help you write the best thank you note, which can connect with you to a potential employer with ease. The thank you letters are easy to create and design with the Microsoft files. It can be easily be downloaded as a form of the PDF Download. You can maintain a format for these letters in an Excel file and use it after any interview. Ideally, an interview thank you letter should reach the organization within 2 business days after the interview has been conducted. You will require writing the letter to the interviewer by expressing an appreciation and thanking them for commencing the interview. 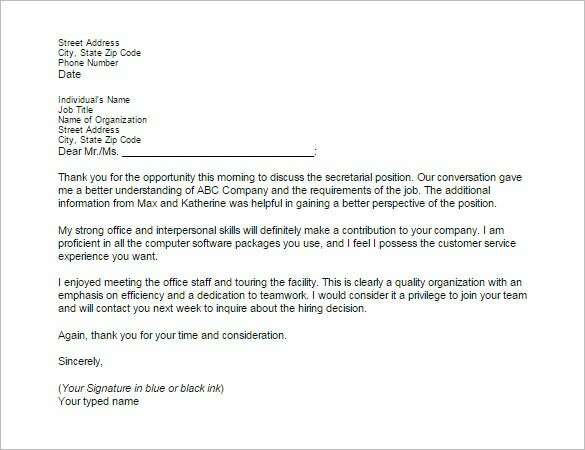 The basic purpose of this letter is to show optimal appreciate and gratitude for the employer’s interest in you. It also helps you to make the interviewer understand that you have high interest in the position and in their organization. 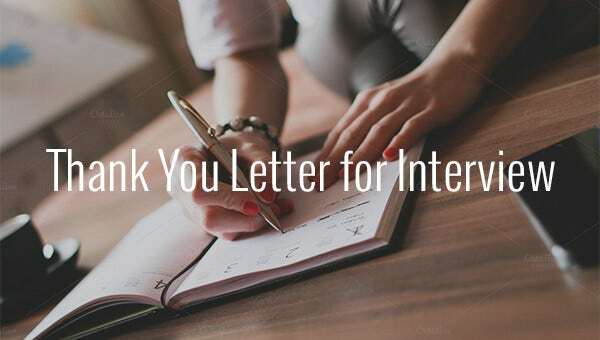 One of the biggest advantages of writing a Thank You Letter for Interview is that it can help you to make your interview review or send a reminder about your qualifications for the position. 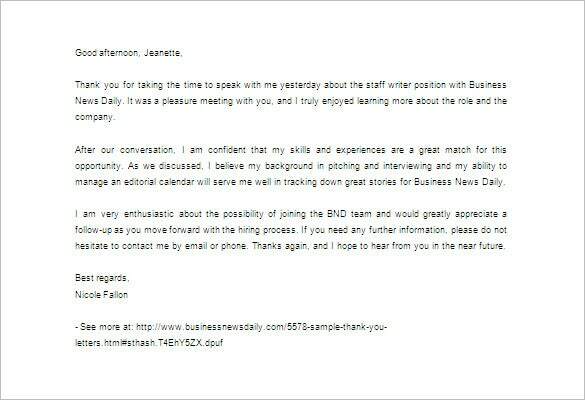 The letter also offers a platform to help you mention almost everything that you forgot to mention in the interview. Last but not the least, the letter also helps in analyzing and demonstrating that you have a sense of showing gratitude and knows how to write a thank-you letter. What All Should Be Kept in Mind While Sending Such Letters? The first and the foremost thing to remember is that you should always send greetings in a professional tone. The opening paragraph of the letter should be attention catching and should leave a greater impact on the reader’s mind. The body of the letter should contain strictly formal text and you’ve to be extra careful for the choice of words. You can also include or mention some specific references that have good reputation in the company you’re applying in. The closing paragraph should summarize everything but analyze what all should be highlighted in brief. 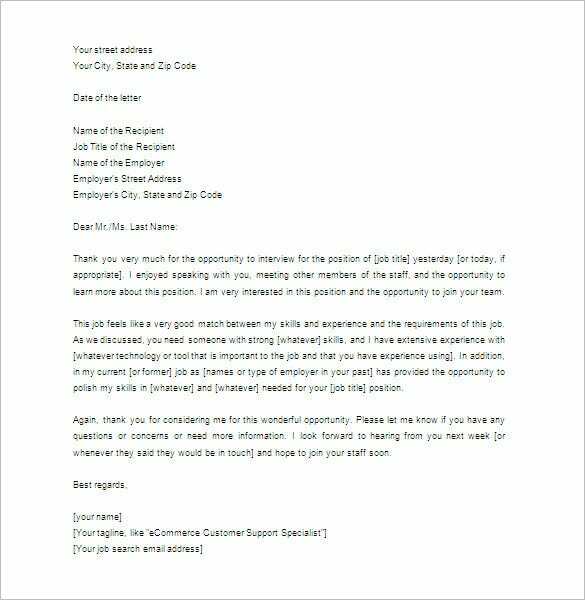 The Thank You Letter for Interview template is available in various versions of Word, Excel, and PDF formats to meet your desired purposes at large. All of these readymade templates incorporate formal writing style to help you impress your interviewer within a few lines. The purpose of sending these templates is quite clear and the template does full justice to the same by highlighting all your capabilities, throwing light on your specializations, and help them analyze why you’re the best fit for this position. If you wish to leave a good impression on your employer, then these templates are an ideal option of you!